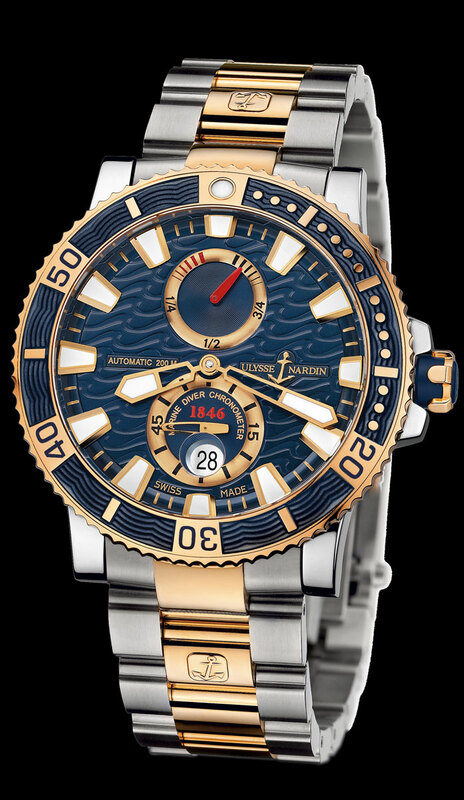 This is the new blue dial Ulysse Nardin Maxi Diver in 18K Rose Gold/Titanium, with waves etched on the blue dial. It is a 45mm case, date, 42 hour power reserve indicator, and exhibition glass back. 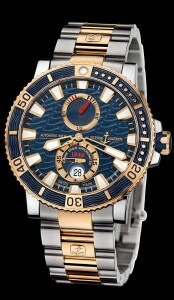 It is shown on the 18K rose gold and titanium bracelet.